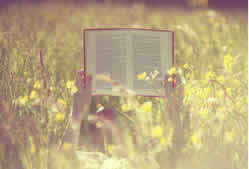 "Spend time daily in the beauty, the peace, the glory of nature. Here, you will feel The Supreme. The beauty of the true Self within. " In times of outer uncertainty, a solid refuge of deep peace, compassion and guided personal experience of the Presence of God anchors one in Truth, unchanging security. 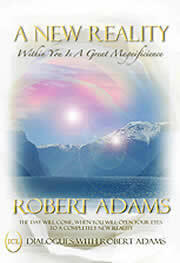 The internationally beloved teacher of classic inner illumination through love, compassion and humility, Robert Adams is the sole Western spiritual master of international reverence, teaching his personal experience upon request in the classic tradition of joyful inner Illumination for over thirty years. Through the path of peace and compassion within the cultural context of ancient ethical precepts, his roots in mystic Christianity provides a supernal insight through direct experience of this truth. 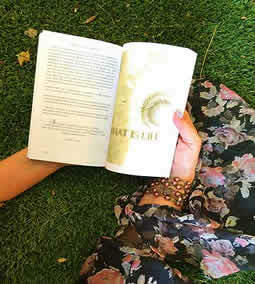 Through his own gentle experiences, original meditations, Dialogues, personal life guidance honoring the Golden Rule, he offers 'a direct experience of the love of God.' His self established Institute assures his pure Message by those he selected, devotedly spending a lifetime within his Presence. The internationally revered gentle sage offers only his personal experience in illumination, in a modern day reality adhering to classic universal, ancient roots of powerful ethical precepts. Unaffiliated at any time with any groups or teachers during his teaching, this gentle family man spoke only a few hours a week publicly, counseling hundreds in the rare personal experienceof an eternal unchanging joy and peace. The Pure Teaching of Robert Adams constitutes his shared personal experience, and is presented solely by his selected Inst.Teachers, lineage, Eestablished Institute. 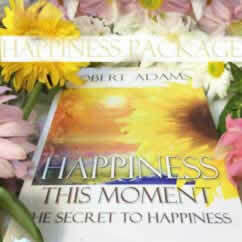 "Happiness is Your True Nature. 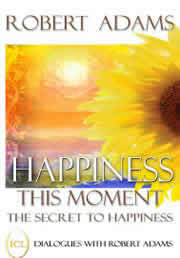 Happiness is the Substratum of Your Existence." 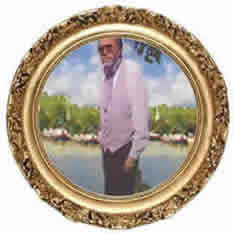 Robert Adams is the sole American confirmed and honored in an ancient lineage as a true illumined sage by the great saint Ramana Maharshi, featured as the teacher in the vintage film, The Razors Edge. Conveying an ancient wisdom for modern times, his uniquely powerful transmissions of a palpable peace, his ethereal nature and warm benevolent kindness endear him to thousands. A devoted family man, tenderly dedicating himself to his family for the majority of his life, his love of children, laughter and selfless dedication to others shines as the keynote in the practical application of his Teaching to all. "The person who has been touched by God is the first person to get in there and help others. 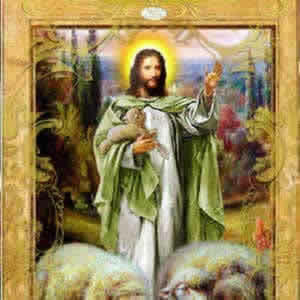 Feed the hungry, help the poor, for this is the nature of God." "Within you is Unimaginable Beauty. Discover this today. Dive deeply into the peace that does not change. Do this every morning upon awakening and just before sleep. Here you will find refuge in That Peace Eternal. Here you will find the Unimaginable Beauty. It will last longer and longer until one day, it never leaves you." May this bright daily refuge be a rich source of Truth, peace, love and guidance in your life." 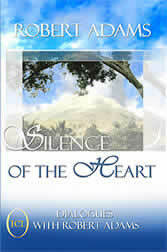 "Silence of The Heart" is the Classic Life Treatise on the stages of illumination honored by ashrams, churches and temples. 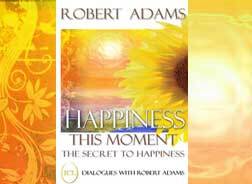 This non-denominational teaching is presented from the personal direct experiences by the globally renowned illumined Spiritual teacher, beloved Robert Adams, founder of The Robert Adams Infinity Institute. "Peace. Peace. Peace." My friend, the time will come when you realize that you have to make a choice. This choice-less choice will come to everyone. At some point in your life, everyone is given the choice. Its arrival is pre-ordained by the Supreme. What you do with this choice is entirely up to you. For it will dictate your destiny. And yet you have to ask yourself, is there really a choice? For I AM That. Forever. Eternally. And this is what I wish to experience consciously. Magnificently. Honestly. This is the shining Supreme Truth upon which all else is superimposed. We must resolve the human predicament, we must actually live in this reality all of the time, beautifully. All your Robert Adams Institute donations, financial transactionsare processed only through the PayPal website and are safe and fully guaranteed. 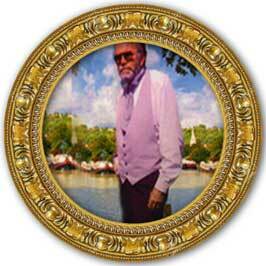 The	Robert	Adams	Institute	is a nonprofit 501 (c)(3) Institution. Happiness is your true nature. Happiness is the substratum of your existence. The essential foundation of divine reality of the unchanging nature of the joy within. Happiness. This book includes the much requested student life introduction to Robert Adams. Within You Is The Light of a Thousand Suns. "Awaken each morning pondering the Truth. Become this pondering. Dive into the Unimaginable Beauty within you. 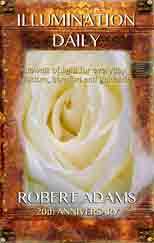 Thank you for your donation to The Teaching of Robert Adams. Your donation enables the continuation of the publication of the literary works, books, recordings, videos, programs, classes and donated books to the financially challenged, prisons, youth institutions, and hospice programs, a tradition of his Institute for over twenty years. what if we were to do that now?" 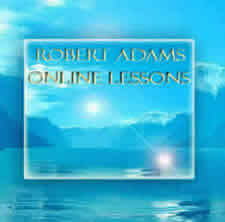 The Robert Adams Infinity Institute is personally established as authorized by Robert Adams as the sole source of his original Pure Form Teaching "For generations to come." His personally selected life long teachers present a comprehensive, pure and clear offering of his beautiful Message that he teaches for over thirty years in over eight hundred extemporaneous, palpably uplifting and deeply loving Talks in his established format of Dialogue, Live Music, Meditation and personal clarifications. Robert Adams, a contemporary American family man residing in the suburbs, speaks only when requested to, due to the overwhelming peace, gentility and care emanating from him. "I am not a guru. You have asked me to share my experience. Try it and see if it works for you. You can experience the fathomless love, peace of God, today. Now. Meanwhile, your job is to become a living embodiment of loving kindness, of The Three Virtues; love, compassion, humility to all. For this is your true Self." His Talks resulted in an immediate upliftment into sublime love. His dedication to the protection of the animal kingdom, supporting homeless children internationally, and often humorous spontaneous assistance to the homeless, regularly giving the shoes of his feet, NIke athletic shoes, to those on the street, exemplifies his foundation of compassion. Always warm, filled with laughter, humor, music, joy and beauty, Robert Adams three decades of Talks were never held in complete silence, but in a celebration of "The Supreme Omnipresent Love in Brotherhood and Compassion", emphasizing three sections: The Discourse, Robert Adams Music and Chant, and Introductions of the Meditations and Practices including The I AM Meditation, Chant, Inquiry, and the Assertations. Non profit requirement: Questions of documenting claimed 'students' or attempted representation or 'satsangs'? Please see Clean Spirituality Legal pg. "Say this every morning the moment you wake up. I Am Bright and Shining Like the Sun." "You must do something spiritual everyday. I call you to do these things everyday. You will live in a New Reality. Your entire life will be transformed. You will have a Direct Experience of Bliss, The Supreme, Peace, Love, Truth that does not change. Life will become bright. You will feel a brotherhood with all of humanity." A new life. A new consciousness. A new experience of ultimate awareness in your life. It is all up to you. It is time. As I have said, I can show you the vein of gold, but you have to dig for it. This is the earthly predicament. Yet it is a beautiful predicament. For you have the Freedom to transform your life. At any moment. Won't you begin now? There is a real world of beauty, love, harmony peace. What Reality are you relating to?" 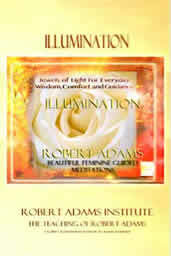 The Pathway to Illumination by Robert Adams taught from his unique personal experience, embraces the following eight fundamental Pathways. 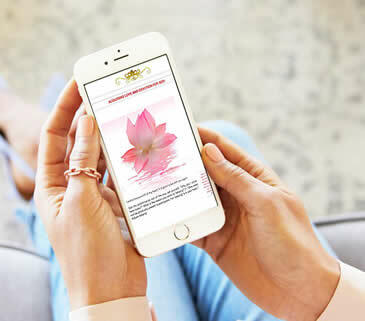 As you begin to experience gentle inner illumination, you begin to associate yourself with your original spiritual nature, rather than your physical-human limitations. You begin to naturally practice the pure fundamentals he emanates. "Begin at the beginning." Revered by what Robert Adams refers to as fundamental precepts of "all true religions" of the world. The result is a "Direct experience of God", resulting in extended periods of peace, an awakening of loving kindness, compassion, humility and a realization of a sense of brotherhood with all. Living in natural spiritual integrity, one's life is guided by The Power That Knows the Way. "The happiness comes bubbling up. A lasting, authentic new happiness that includes all of life. The happiness of this life, with a loved one, a beautiful sunset, a selfless act, is real, yet it is a glimmer of the eternal indescribable joy that never fades. You must acquire a sense of brotherhood with all of humanity." Enjoy an Introduction and deepening of the Premier Topics of Robert Adams Teaching, Personal Experience, and Methods in readings of his works below. Robert Adams Answers Questions on Jesus. 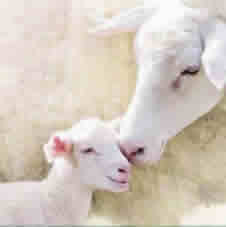 Compassion is your True Nature. "Never forget the most important thing. Love, Compassion and Humility. As you are unfolding, spread sunshine to all you meet."